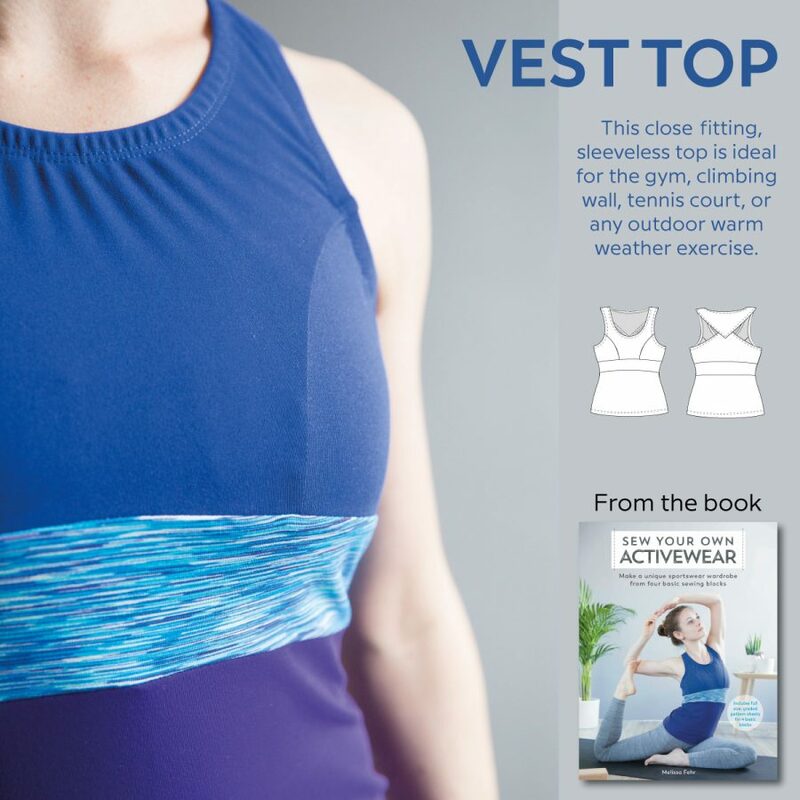 Today I'd like to show you how you can change up the look of your "Sew Your Own Activewear" Vest Top by simply changing the way you finish off the neckline and armhole edges. 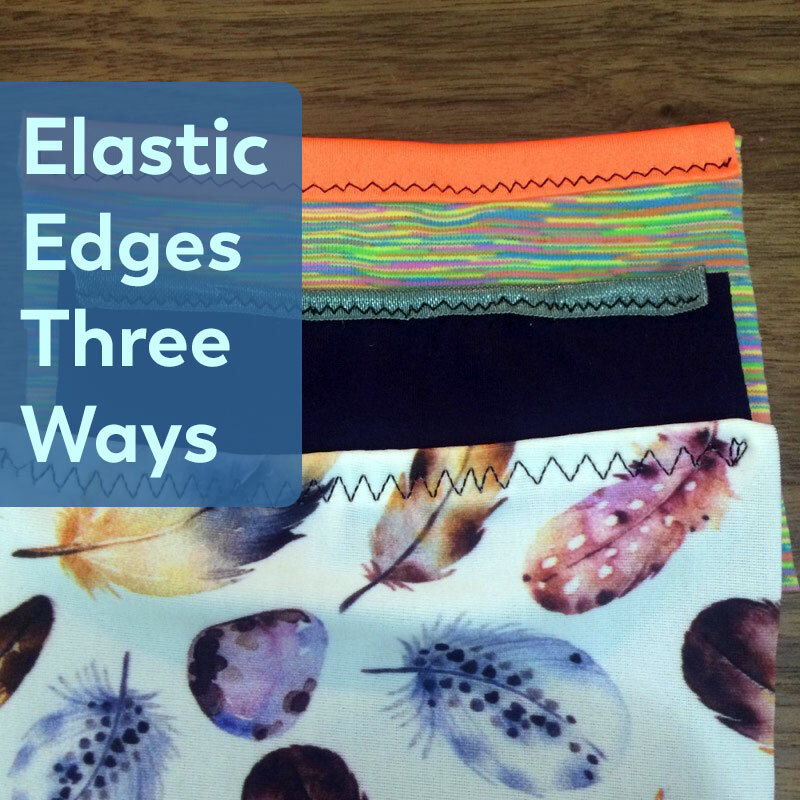 Elastic edges are super important in activewear as they hold the fabric close to the body, reducing the risk of chafing, but also making it less likely to get caught on things (a real safety risk when climbing! ), or exposing yourself accidentally (hello downward dog! ), and also to keep contents from falling out of your pockets, too. 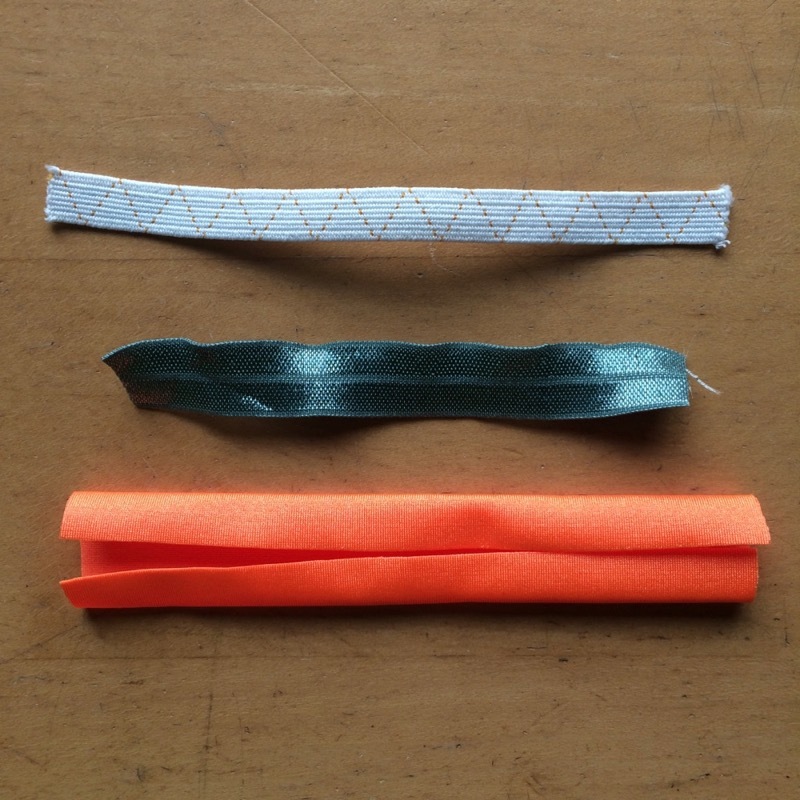 These methods are great ones to have in your sewing skillset as you can also use them on the Crop Top (which we'll be looking at more next week!) as well as my XYT Workout Top pattern. 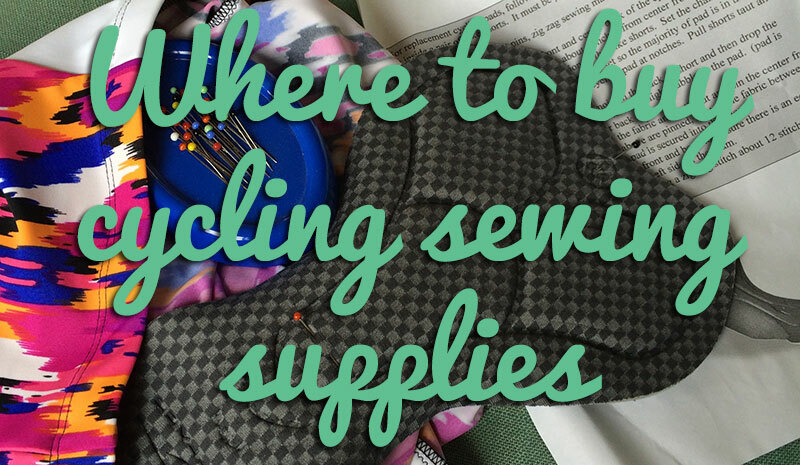 All three of these methods can be done on your basic sewing machine, and once you get the hang of them, you'll find all sorts of uses! From top to bottom: 1cm (3/8in) knitted elastic, FOE, and stretch binding. 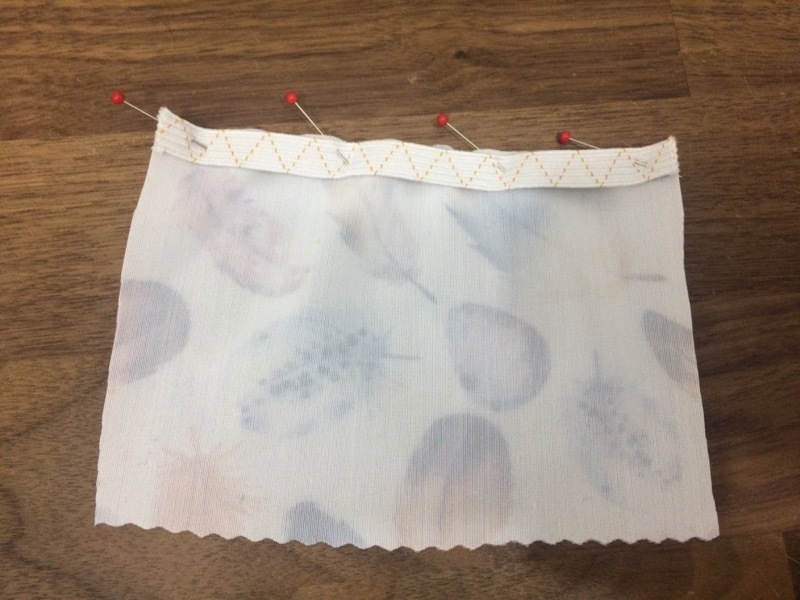 This method is one of my favourites because it’s so versatile – you can use it for activewear, lingerie, waistbands, and hems, and since the elastic is completely concealed inside, it doesn’t irritate the skin and you don’t need to worry about matching elastic to your fabrics, either. Soft, knitted elastic. 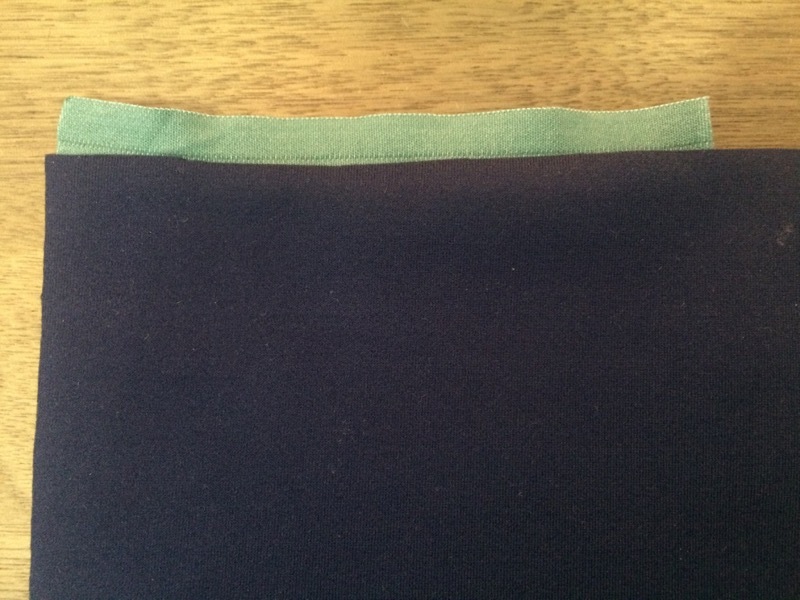 For neckline and armhole edges I prefer 1cm (3/8in), and for waistbands I like 2cm (3/4in). Remember to pre-stretch your elastic (as you would a balloon) before measuring and cutting! A walking foot for your sewing machine. 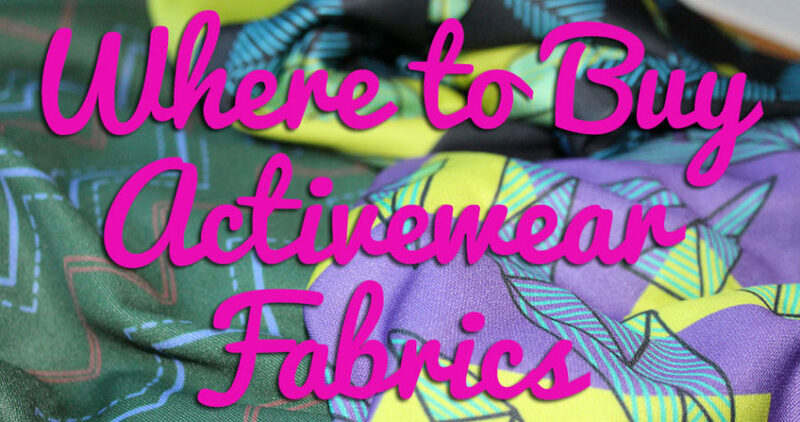 I cannot stress enough how much of a difference this will make to your activewear sewing success! 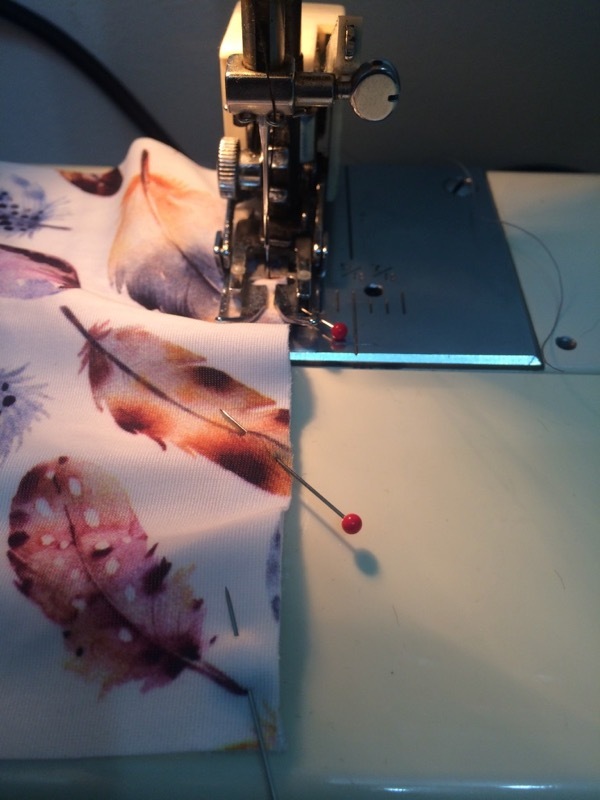 Not only does it allow you to sew stretchy fabrics without wavy seams, but it also works a treat on pretty much any other “tricky” fabrics. These will usually cost about £30, but are worth so much more than that, I promise. 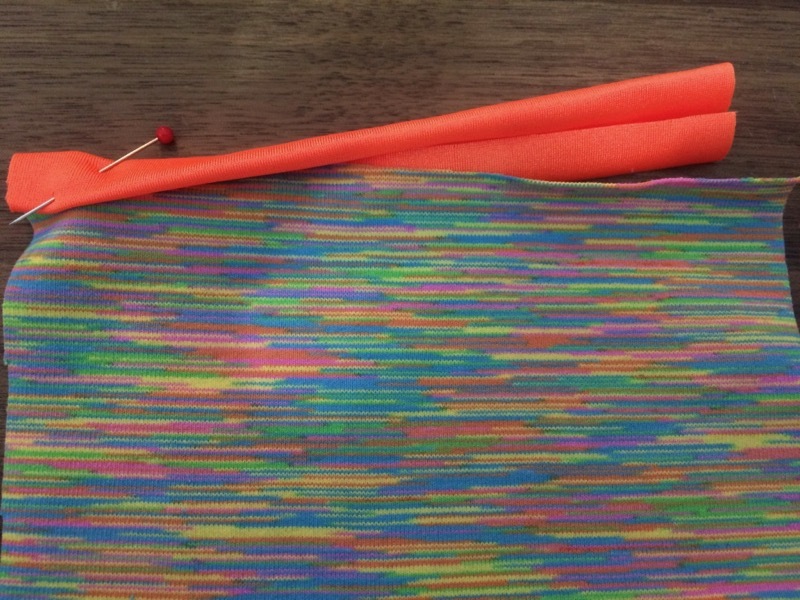 A needle suited to your activewear fabric. Often this means a Stretch needle if your fabric has a high elastane (Lycra) content, or you might find that ballpoint (aka Jersey) or even universal needles work best. Play with scraps and skipped stitches are a good sign that you need to change your needle. 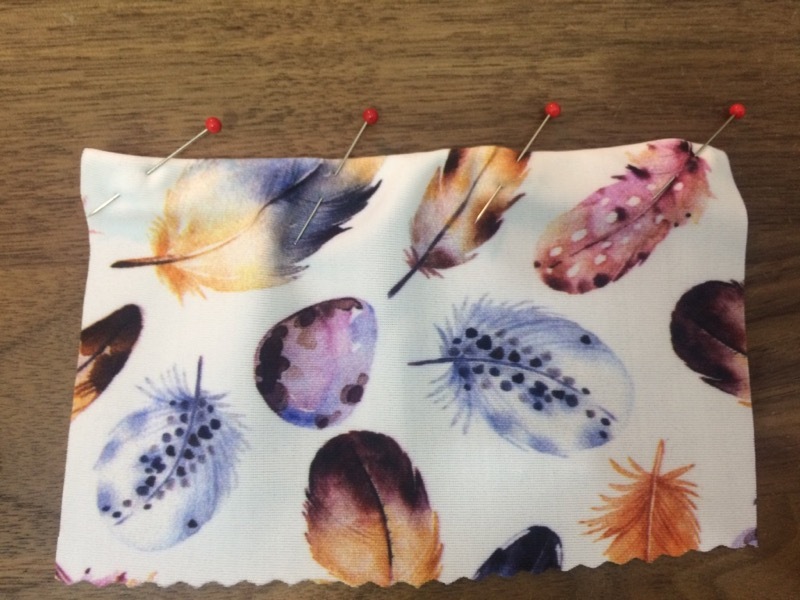 Pin your elastic to the wrong side of the edge of the fabric. Flip the elastic towards the inside again so that the elastic is fully encased by your fabric. Pin, and topstitch from the right side using your choice of stretchy topstitching stitch. 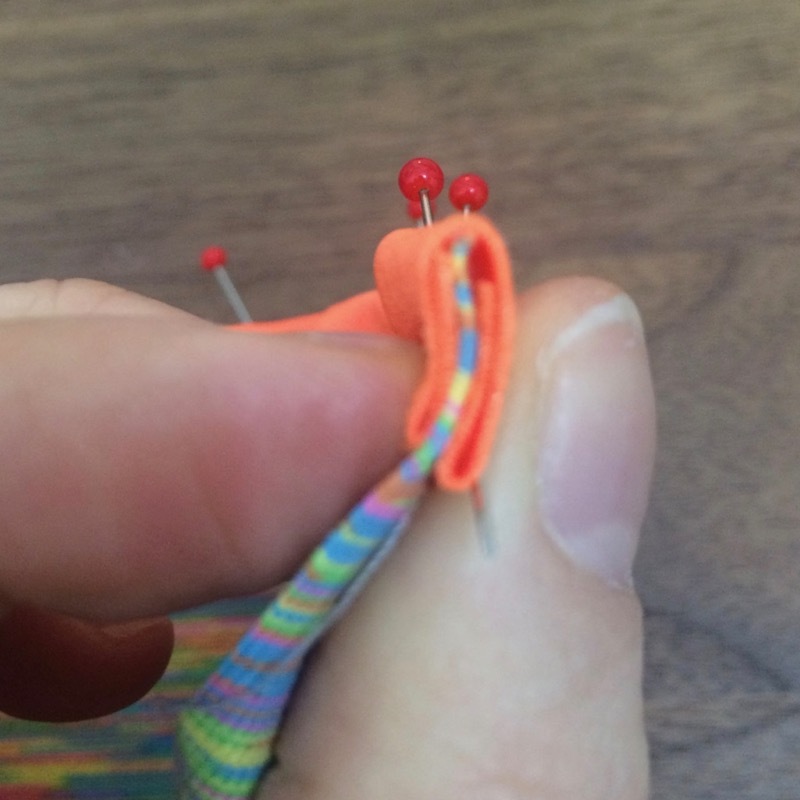 I’ve used the triple zigzag stitch here, but you could also use a wide zigzag, lightning bolt stitch, twin needle, or a coverstitch if you’ve got one. 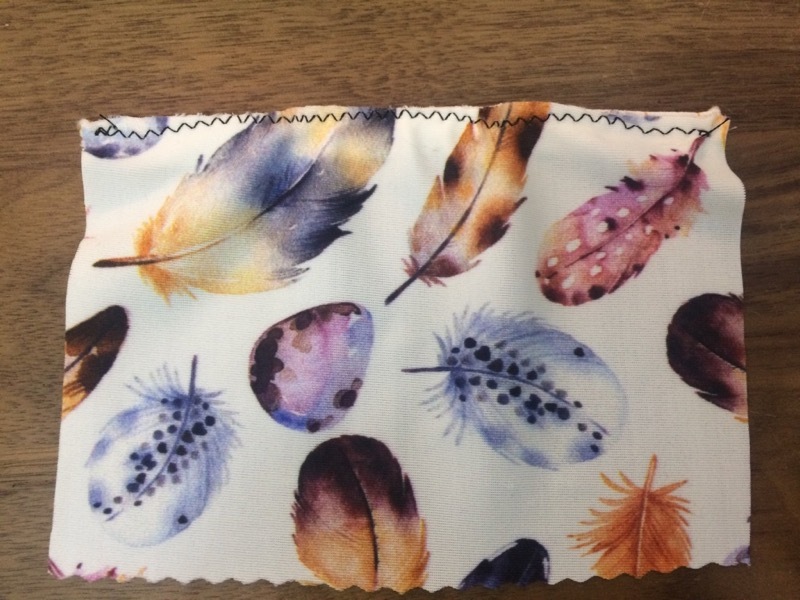 Take care to stretch the elastic but not the fabric as you sew. 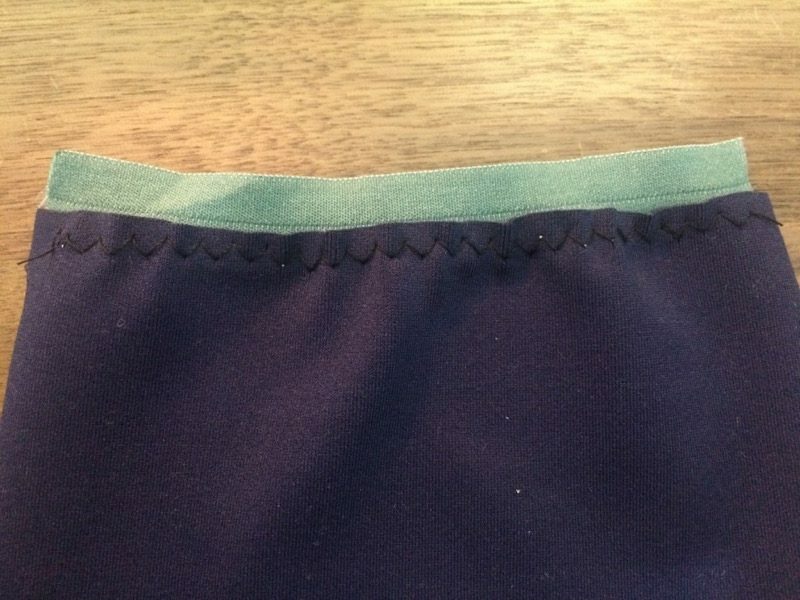 Your finished edge will have one line of topstitching on the right side and two on the wrong side. FOE is one of the most popular ways to finish a stretchy edge not just in activewear but also in lingerie and casualwear. 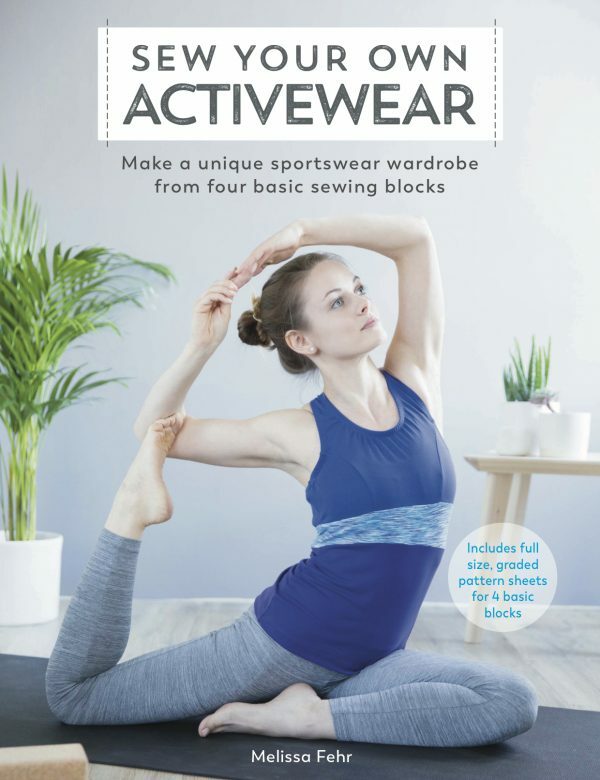 In “Sew Your Own Activewear” we use it to finish off the pocket edges of the Yoga Bottoms as well as the back pocket of the Cycling Top, and it’s a great lightweight edge finish for shorts such as my Threshold Shorts pattern, too. Foldover Elastic (FOE). You can identify FOE by its distinctive line running along the centre, and it usually has a shiny side (sometimes with a print) and a dull side. 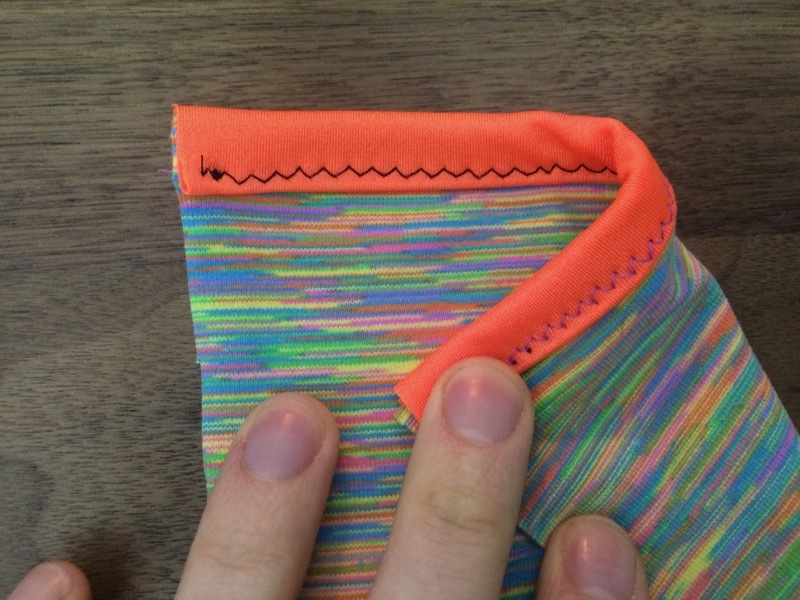 Since FOE is folded along its length, the finished edge will be half the width of the flat elastic. A walking foot for your sewing machine. See above! A needle suited to your activewear fabric. See above. No seam/edge allowance! If your sewing pattern has allowances included, you should trim them off the edges you’ll be encasing before applying your FOE. Place the wrong (dull) side of the FOE against the wrong side of your fabric with the fabric edge running along the central line on the elastic (so half of the FOE is extending past the fabric edge). 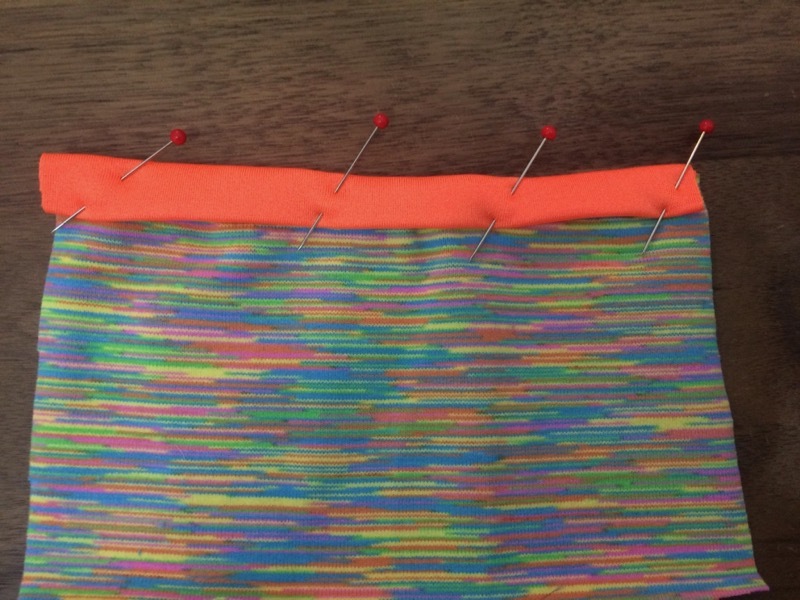 Using a narrow zigzag stitch set to basting length, stitch through both elastic and fabric close to the fabric edge (ie: towards the centre of the FOE). 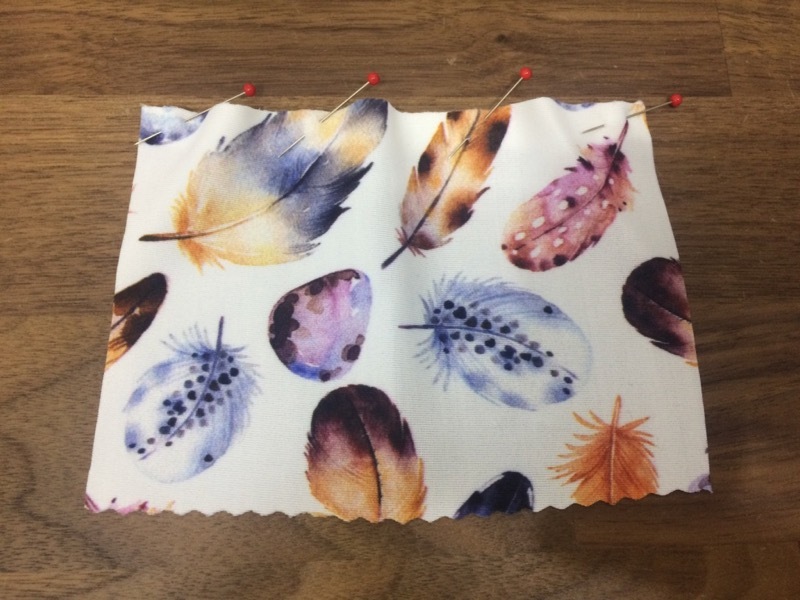 This helps to hold the elastic in place and result in a neater second stitch, but advanced sewists may choose to skip this and sew it in one step. Fold the FOE over to the right side of the fabric along the central line, covering over the previous step’s stitching. 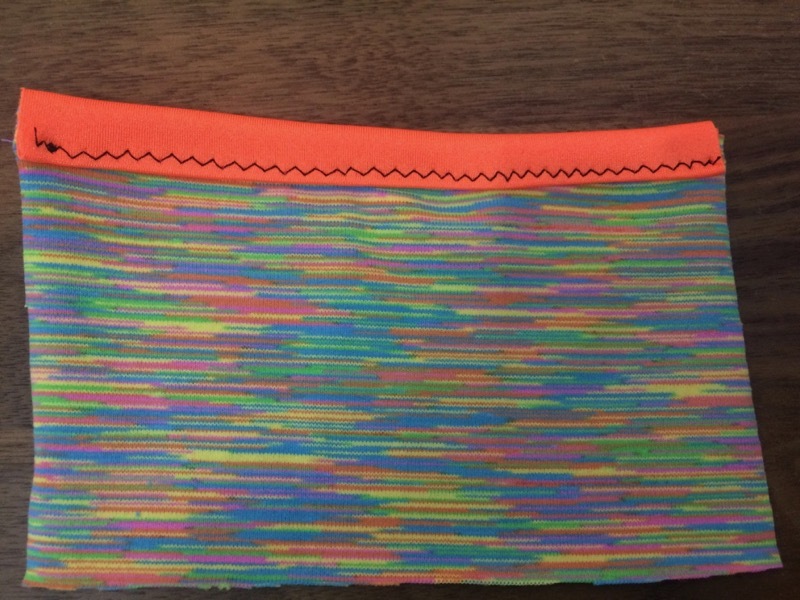 Stitch along the bottom edge of the elastic using a narrow zigzag stitch. 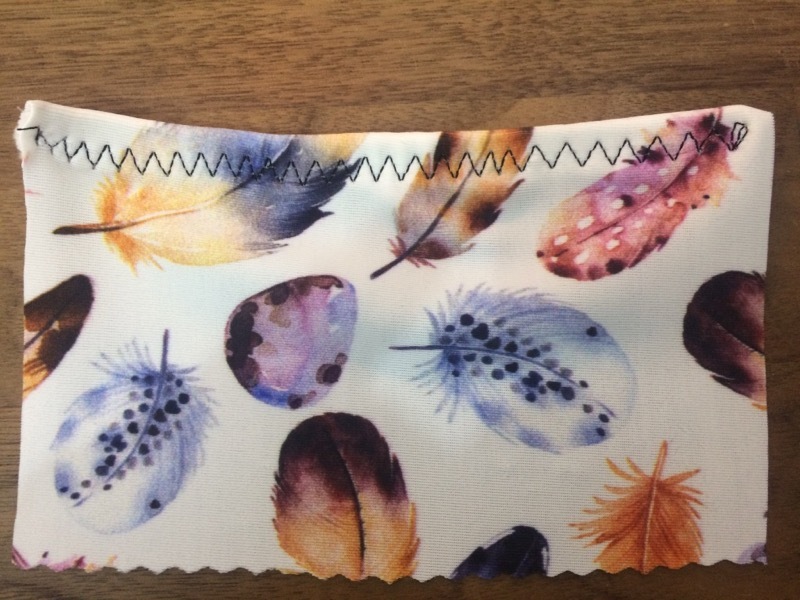 This is a new product that mimics the standard cotton bias binding used in dressmaking, but is made from stretchy elastane (Lycra) fabrics and provides a more substantial edge for thicker fabrics. In “Sew Your Own Activewear” we use it to finish off the sleeve and hems of the Active Jacket as well as the hems of the Split Shorts. I get mine from Minerva Crafts (UK), but I’m also told that Abakhan (UK) stock it now, too (if you know of any US or AU stockists, please leave a comment!). Stretch binding. 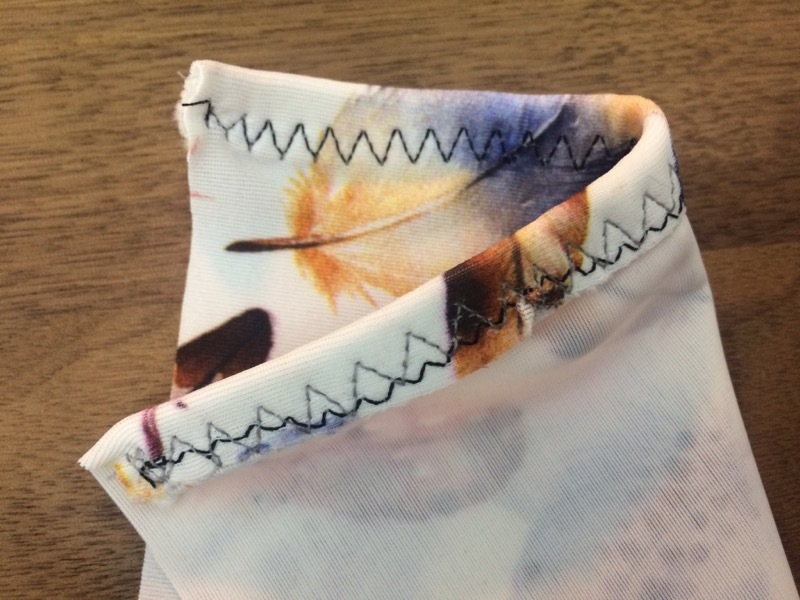 I’ll be using two-fold stretch binding in this example, but you could potentially make your own if you’ve got high-elastane fabric which can hold a pressed edge. Like FOE, stretch binding encases the edge so your finished binding will be 1/4 the width of your unfolded binding. No seam/edge allowance! 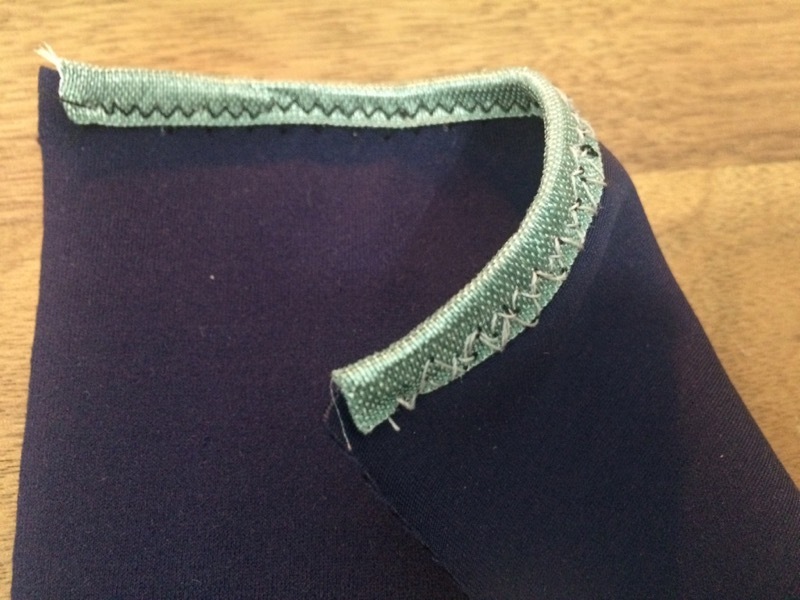 If your sewing pattern has allowances included, you should trim them off before applying your binding. 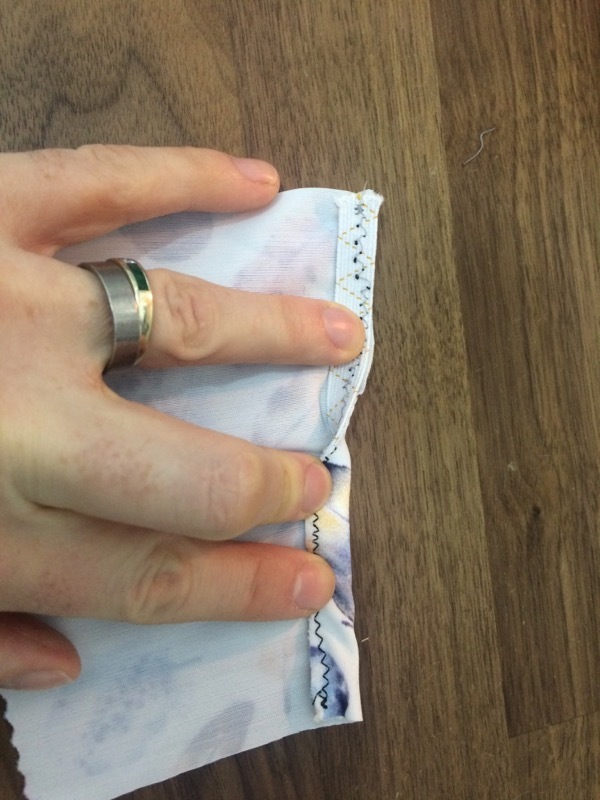 Encase the edge of your fabric with the stretch binding, ensuring the edge is against the centre, and pin. Note: you can also apply stretch binding in two steps (as with the FOE above) if you prefer. Using a narrow zigzag stitch from the right side, stitch through all layers of the binding and fabric along the lower edge of the binding. 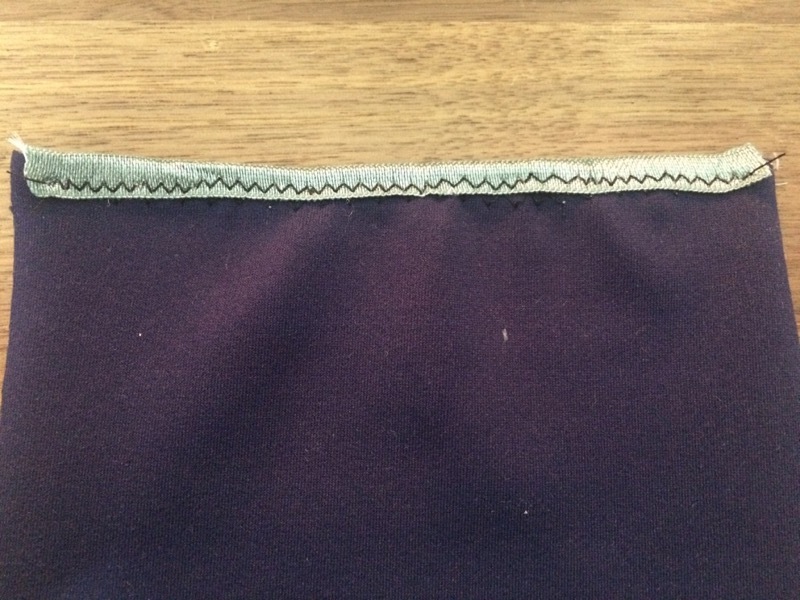 Your finished edge will have one line of topstitching on the right side and one on the wrong side. And that’s it! Three different ways you can finish off the edges of your Vest Top and still maintain the stretchiness. What’s your favourite method? Separator image Posted in Inspiration and tagged with exercise, sew your own activewear, SYOA crop top, SYOA vest top, tutorial, xyt-workout-top.